When I was a little girl, I used to walk home from school each day in December hoping with all the hope I could muster, that “the package” had arrived. I’d walk into the house and unload jacket, scarf and mittens, then timidly tiptoe into the kitchen to check the mail on the table. As soon as I turned the corner I would know… if the Harry and David Tower of Treats had come. This is a memory that is repeated throughout the entire course of my childhood. I couldn’t wait to carefully open each cascading box to see what edible treasure was inside: apples, pound cake, various chocolates, and the end-all of holiday treats Moose Munch, a caramel corn mix with chocolate and nuts. And let’s not forget the pears. Harry and David sent the most flawless, juicy, golden wrapped pears, that sliced like butter. We would ration them out after the package arrived, to ensure everyone in the family got their fair share. Harry and David is the centerpiece of one of my fondest holiday memories and has made it possible for me to relive this nostalgic experience year after year. Even now, I secretly hope each and every year, that a business associate, or a good friend will send us a box from Harry and David. So when I was invited to tour the Harry and David Orchards and Chocolate Factory, there was not a single moment of hesitation. I would have crawled from Asheville, North Carolina to Medford, Oregon, to get there. What I learned about Harry and David once I arrived in Oregon, only enhanced my devotion to the company. First and foremost, Harry and David is not just a pretty packaging company. They actually produce the majority of the items they offer. 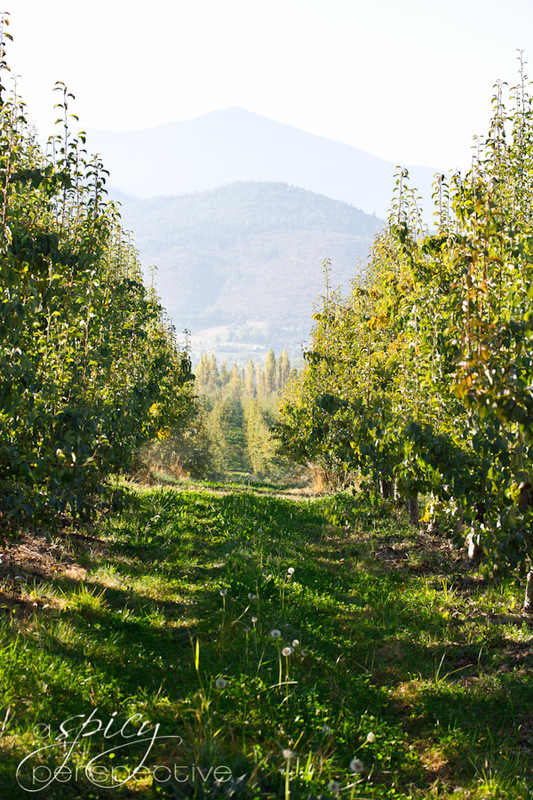 The breathtaking orchards spread across 19 farms in southern Oregon and boast 700,000 pear trees. These Comice or “Royal Riviera” winter pears are treated with as much care as newborn puppies. Harry and David hires approximately 330 professional pickers each year to gently hand-pick every pear. 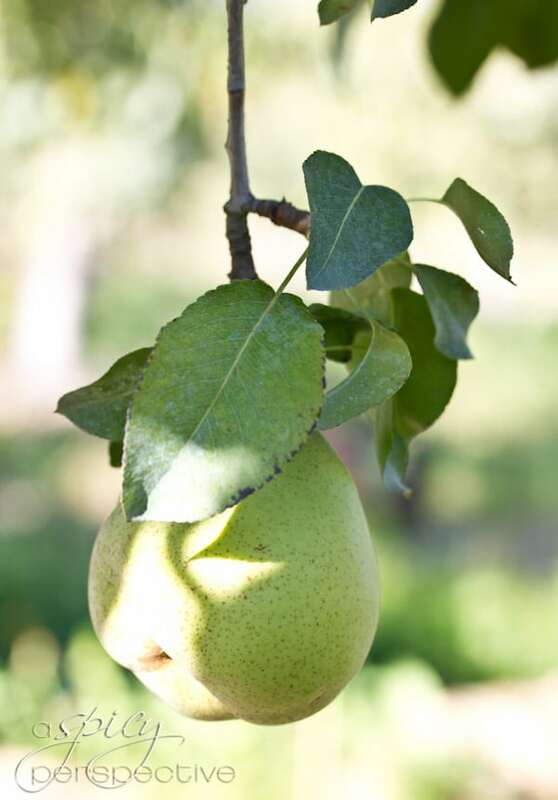 The pears are picked in the state of “maturity,” not ripeness to protect the skin. The harvesters use a special hand technique and gloves to ensure no bruising occurs. 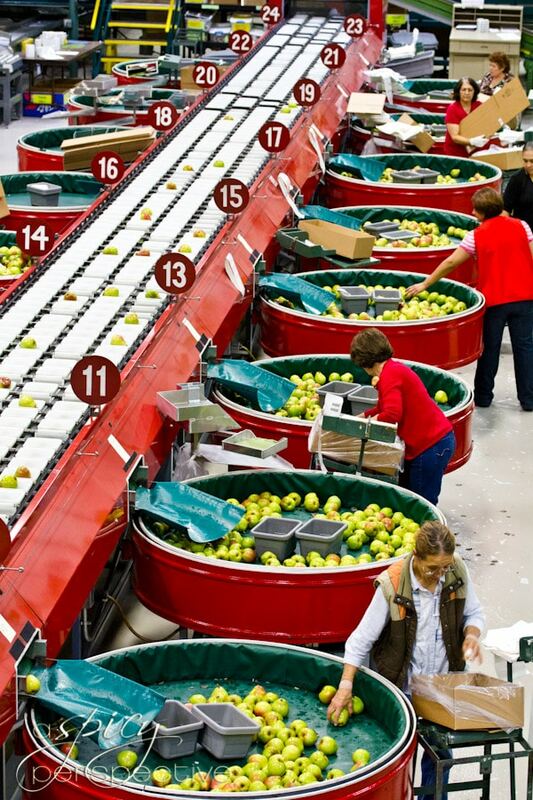 Harry and David transports the pears with water flumes, specially designed trucks, and padded sorters to make sure every pear comes to you as perfect as it was, hanging on the tree. 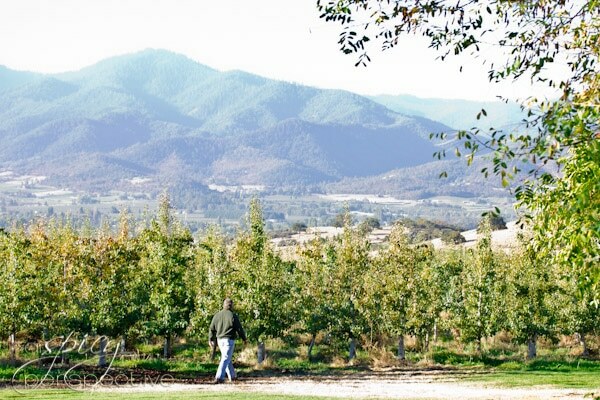 Harry and David has spent years fine-tuning their method of farming to grow smaller trees that produce the very best fruit. They actually graft the comice pear trees onto quince root beds, causing the trees to stay small, so the orchards are safe for their pickers. This is not genetic modification. Grafting roots is an agricultural art you can experiment with in your own backyard, if you happen to have a green thumb and a whole lot of patience. 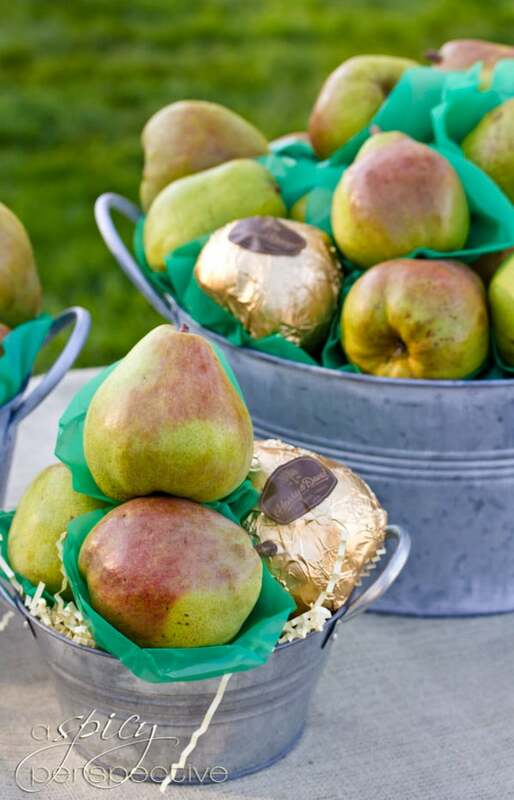 On top of growing these magnificent pears, Harry and David makes thousands of chocolates and baked goods each year, right in Medford, Oregon. 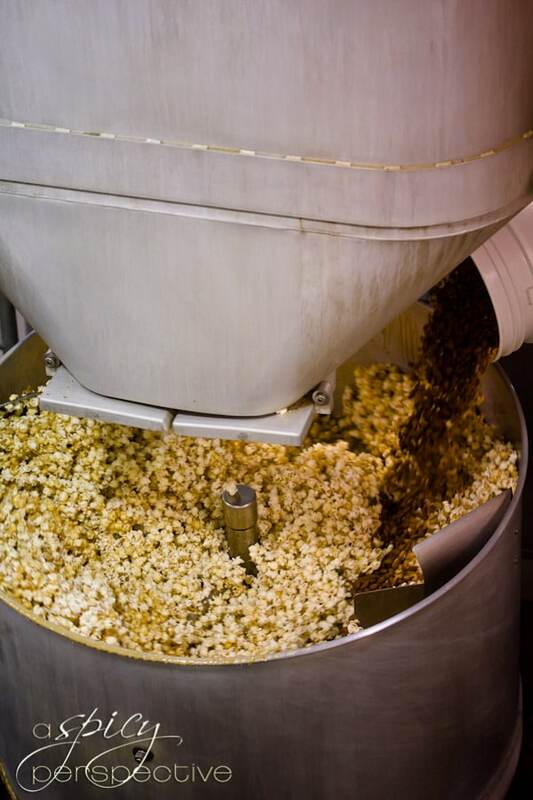 The Head Chocolatier, Charlie (yes, Charlie) told us they make up to 130,000 truffles on any given day and pop 100 pounds of popcorn to make Moose Much each hour. We watched bakers make tantalizing baklava, brownies, cakes, cookies and candies. We learned to hand tie the intricate bows that go on each package. 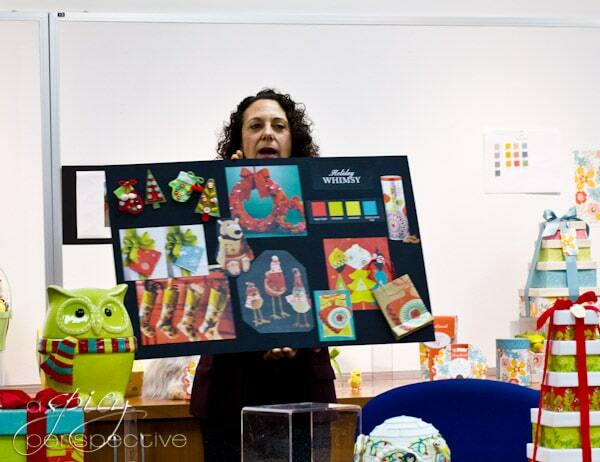 We met with packaging designers that spend countless hours making sure they have a basket, box, or tower to fit every occasion and personality. We even got to build our own Harry and David basket on the packaging line. Mine kept falling apart–it takes a lot more skill than you think! Harry and David also shared a surprise announcement with us. 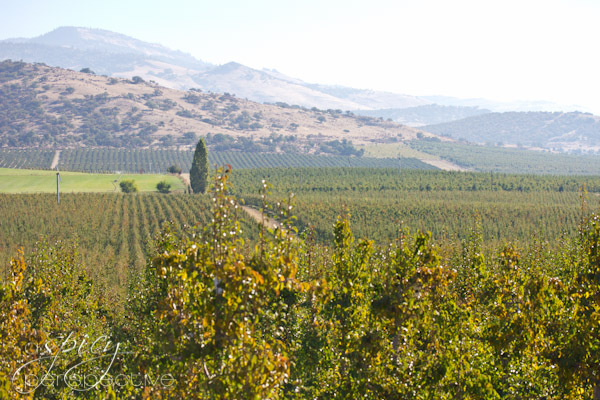 They’ve planted their own vineyards and are now producing the first batch of H&D made wines. We were able to experience all nine of the wines they are offering. These wines will be available for purchase in early 2013. Make sure to try the Pinot Noir. Harry and David is GOOD to their employees. From our tour guide, to the pickers, packers, recipe testers, bakers, bow tiers, and package designers, most of the employees we met had been working for Harry and David for over ten years, and many have worked there for decades. One tour guide told me she had resigned after finding out she had cancer and needed to focus on her recovering. You just don’t hear stories like that anymore, you know? Disclosure: Harry and David hosted me on this trip and provided the giveaway today. All H&D-loving opinions are my own. Everyone Christmas I looked through the catalog until finally I went to a store..I was a kid in a candy store. Not familiar with Harry and David until today but those pears sound amazing! My favorite Aunt has send H&D gifts to us every year at the Holidays. She has done this for us for many years! I also send out H&D gifts to family that lives far away from us. 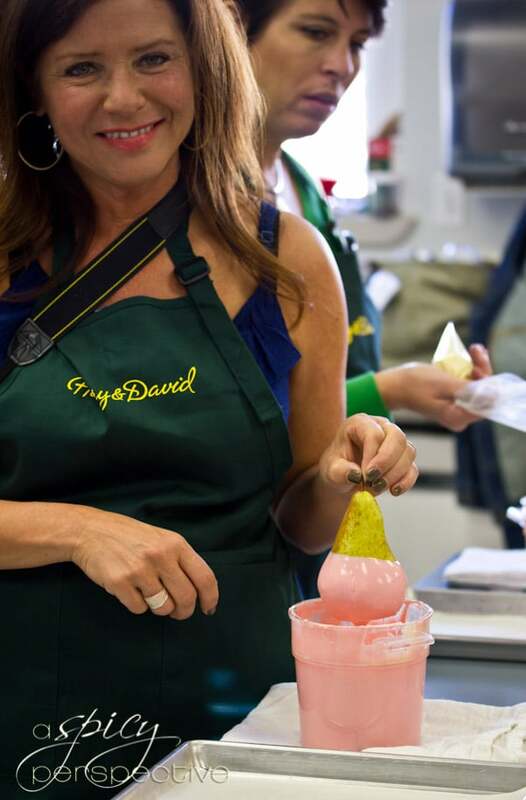 A Harry & David gift is a gift of love and delicious goodness! My husband was given a Harry & David tower one year by a co-worker. I had such a hard time sharing any of the Moose Munch with him….and it was his gift!! I love going into their store and enjoying their samples. I also love sending my mom their baskets. I follow A Spicy Perspective on Facebook, Twitter and Pinterest. I follow Harry and David on Facebook and Twitter. I am excited to try the pears and truffles. They sound like they are out of this world! My boss gave me H & D pears for Christmas a few years ago – still think about those luscious pieces of fruit! I’ve heard so much about the amazing Harry & David pears…would love to try! Aw, that’s so sweet of them to let her come back to work after she healed! I just love hearing stories like that. What a wonderful company! I remember trying their cashews and it was probably the best cashews I’ve ever tasted! I’m sure all of their other stuff is wonderful too! I’d love to try those delicious pears! If I won, I’d gift this to my friend and her hubby. They are closing on their first home soon. Thank you for the opportunity, for hosting this generous giveaway. I love when pear season rolls around. Harry and David’s are the best, hands down! I am most excited about their pears. Would love to try the pears and baklava! A moose munch bar in my stocking, love them. I love their cheese cakes and their chocolate and their salsas and their fruits. Thank you for this giveaway. My best friend and her family would always go to Medford to pick out a steer for her daughter’s 4H project and bring back treats from Harry & David’s. So yummy! We’ve had the tradition with my aunt and uncle’s family of sending each other Harry and David towers each year for Christmas. So exciting to dig into the tower each Christmas afternoon! I don’t really have any memories as such, but the Moose Crunch looks super yummy! I am excited to try the pears! What a wonderful photo essay and introduction to what seems like a very nice company — I enjoyed it very much. Harry & David Favorite? Let’s not forget the cookies/baked goodies… Christmastime we took turns at what each one got, so it was never teh same thing. Although some like this better than that, we never got the same thing two years running. How delightful. 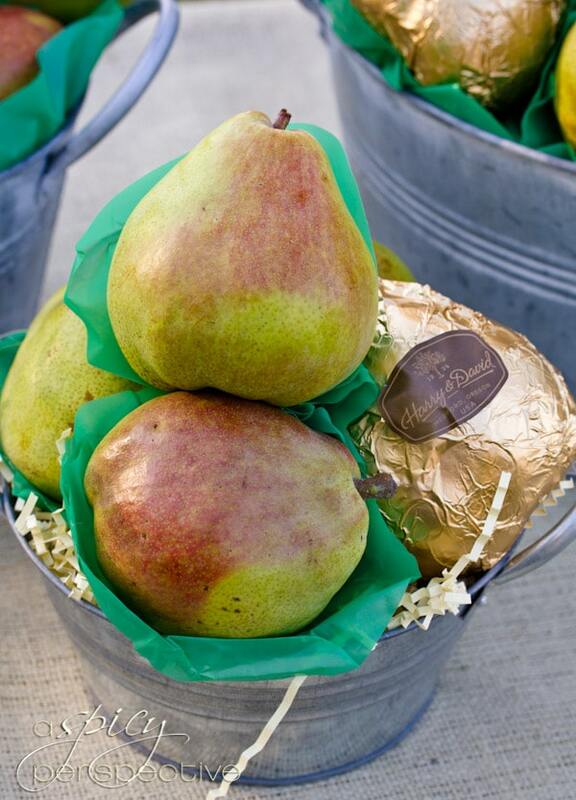 My favorite Harry & David treat were the chocolates– although the pears are so special..hum, hard to pick one! My husband’s family became addicted to H&D as the classic and classy gift of the season. Whenever a surprise guest appeared on the list- voila, an H&D box to the rescue! Christmas at my in-laws was never Christmas until the H&D box arrived form “Grandy”. She was an avid gift giver and very generous to send them a lovely box of fruits (ah, the pears! ), chocloates, cookies..the treats were endless. Thank you for this most entertaining, educational and inspiring recount of your trip. Make s me want to take one too. I remember my parents receiving a Harry and David gift box when I was a child. I thought it was the coolest thing and I remember that the items were good! Followed you on Pinterest as blessedfosho. Followed @SpicyPerspectiv on Twitter as @lifesdeepcolors. Liked A Spicy Perspective on Facebook as Elena Vo. Followed Harry and David on Twitter as @lifesdeepcolors. Liked Harry and David on Facebook as Elena Vo. I don’t have a memory with Harry and David yet so I’ll say I’m excited to try their pears…I’ll serve them with chocolate fondue and roasted hazelnuts! We received a gift basket a few years ago for Christmas. It was wonderful! I follow Harry and David on Twitter too! I like Harry and David on FB! I live just a few hours away from Medford and always visit their store when I’m there. 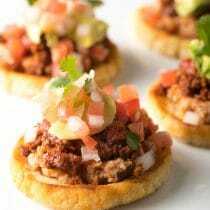 I love the pepper and onion salsa like spread they have. Great with cream cheese or on a baked potato!!! I Follow Harry and David on Facebook. I’m most excited to try their Moose Munch. I want to try it ALL! But probably the one I want to try most is the Moose Munch! :) Pick me! I have most of the sharing options blocked, but I just linked to this giveaway on my Facebook page. I spent at least an hour looking through all the items on the Harry and David site, but I couldn’t pick just one I’d want the most. I’d be super-excited to win the Bear Creek Gift Box! I just started following Harry and David on Facebook. I have never tried their products but the pears look so good! What great pictures Sommer! I can imagine how fun this trip must have been. I’m a huge fan of Harry and David’s – we love their pears. I’d like to try their fruit. I’d love to try the pears! Would love to try their fruit again. I’ve never had Harry & David but would love to try their fruit! I remember getting a Harry & David package in college from my dad and I was soo excited that they sent it! It made me miss home (I’m from Oregon). I followed Harry & David on FB. I followed you on FB because of your way of writing about memories of food! Found you on G+ and so glad I did! Truthfully, I’ve never even seen a Harry & David’s catalog, let alone sampled their products, but their name (to me) is synonymous with quality. (Such is their reputation.) 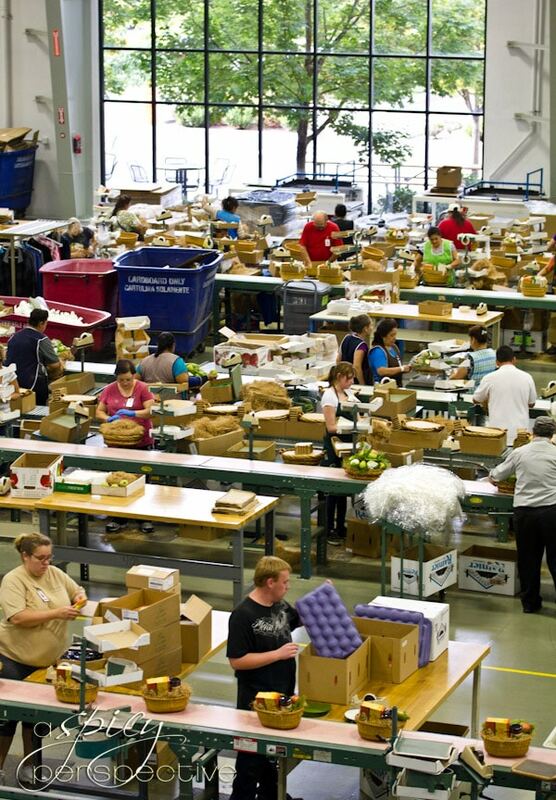 Thanks for the ‘behind the scenes’ look at a caring company! 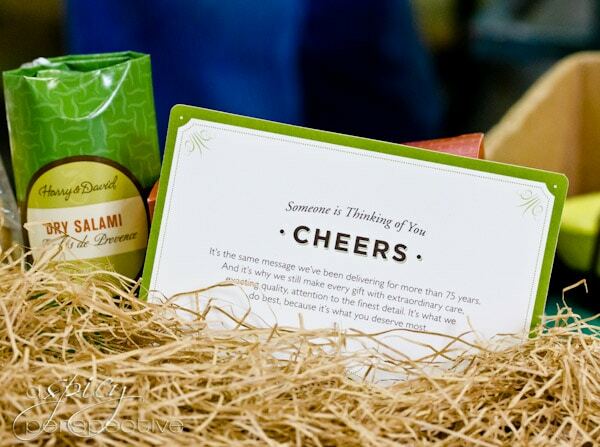 Of course, I’d love to try their Moose Munch and pears, and, and… ;) Thanks for this give-away opportunity! I love Harry and David! My mom got me fruit of the month one year for my birthday – best gift ever! Yum! I would love to try the pears! I’ve never tried Harry and David products, but I’m most excited to try the fruit. Thank you for the opportunity to win a basket from them too! I remember LOVING that summer sausage … mmmmm!!! I simply love their pears. They are best I’ve ever had – my best friend sends me a box of them every Christmas. Always look forward to that package in the mail. repinned the 30 top bloggers that are the best and on facebook, twitter and now this one~! great giveaway! I like you on Facebook/Valerie C.
Following Harry and David on Facebook/Valerie C.
We have relatives in 12 states! I love the thank you notes I receive after they receive Harry & David’s goodies! I don’t know what I missed saying I did, but i did everything you had to do! :-) Thanks again for the opportunity to win your fabulous giveaway from Harry and David’s! That was very generous of you! I follow Harry and David on Twitter. Oops, I meant I follow Harry and David on Facebook! Sorry about the double. My favorite memory of Harry and David’s is going to the store and buying gifts at the holidays. My Dad LOVED the cherry jam and candies! Another favorite memory is sipping the awesome holiday blend coffee with my friend Chris! Following Harry and David on Twitter. Following Harry and David on Facebook and/or Twitter. Oh…what a nice experience you had to visit the field and how they make these yummy treats. I’ve always wanted to try their sweet and juice pears! 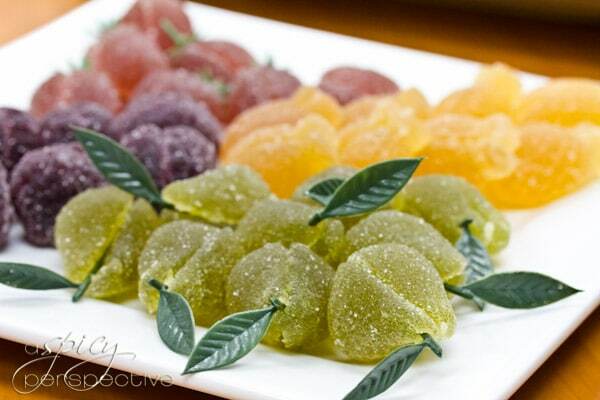 hm…then when I saw your picture of the fruit shaped jelly/candies, I wanted to try those too. So beautiful! What I really want to try are the pears. I don’t usually like pears—it’s the texture, mostly—but I am intrigued by the lure behind those at Harry & David, plus the fancy box and gold wrapping would feel so special! I like Harry and David on facebook! I really want to try the Mousse Munch! So glad you had a good time at Harry & David – looks like a fun and memorable experience…even better that you had a connection to the company beforehand through your childhood memories :) I’m most excited to have a Harry & David pear this winter! I would love to try their pears! You make them sound too tempting to pass up :) I just know my mom would love them too! One Christmas we got a huge gift basket from Harry and David! It was amazing. Loved the pears! So fresh! We had a baby shower for a lady having twins and our theme was Pear (or pair). We live near a Harry & David’s outlet and bought all of our pear stuff there. Including the biggest, most delicious pears! Yum! For years my mom has received a Harry & David basket from her boss. Even though I no longer live at home she always saves me a pear and some other treat for when I am home for the Holidays. One year I couldn’t come home and in my Christmas care package, there lovingly tucked was the pear. With tears in my eyes I enjoyed that pear listening to Christmas music looking at palm trees and wishing for snow and slush and the smells of my mom’s kitchen. If I win, I will share with my step-daughters and see if I can start a tradition with them. 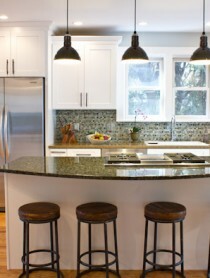 I followed ASP on twitter as @Tribechic! Liked Harry&David on Facebook, thanks! I’ve never had anything of theirs, but once you said the pears slice like butter, that’s what I want to try! I was introduced to the deliciousness of Harry and David 6 years ago when my staff bought me a tower. It was almost too pretty to open. Every year now, they get me a gift basket or tower from Harry & David. And then we were lucky enough to get a store here, only ten minutes from home. My daughters love moose munch and my son in college looks forward to Harry and David goodies that I frequently send. And right now, I am completely addicted to the charred pineapple relish. I put it on everything! I’m at the store once a week and the employees are so friendly and helpful. YAY for Harry and David!! I’ve never tried Harry and David before, but I’d like to try the cheese. I love a sharp cheddar. I would love to they any of the chocolate covered fruit. The first time I had their coffee I was babysitting another navy wife’s kiddos. One cup and I was completely hooked! I ended up getting it as a gift for Christmas from her that year too. Yum Yum Yum Yum!!!! Their pears are truly the best. We are also quite fond of their cheesecake trio. My heart melted when I read the story about how the employee was approached by the CEO in regards to her resignation. We don’t see anything remote to such humility, these days. Sommer, I am so happy we met and can’t wait to stay in touch. 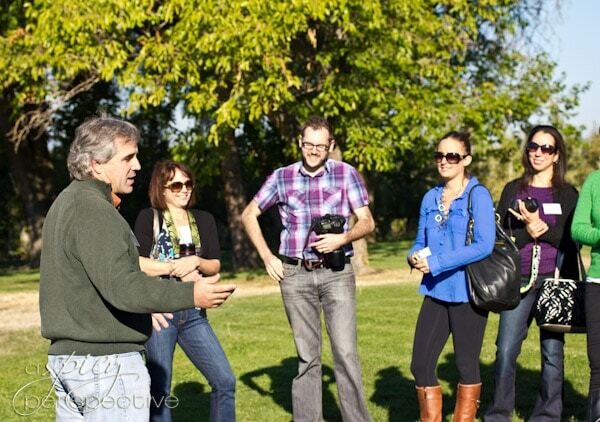 It was the perfect trip, group, weather, food, treats … oh, and RUN :) You’re the best! Love and hugs from OR! Following Harry and David on Twitter! Following Harry and David on Facebook! My favorite Harry and David item are the pears! To die for! Beautiful recap, Sommer! It was such a great time with Harry and David – I’m so glad we finally got to meet, YAY!! 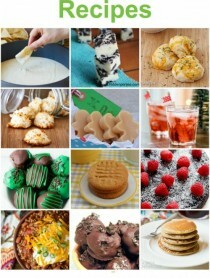 I follow Spicy Perspective on Pinterest! I follow Spicy Perspective on Twitter. I like Spicy Perspective on Facebook. What an experience! Thanks for sharing all those awesome pictures. I especially loved the factory picture from above – it looks like Santa’s Christmas factory! And thanks for hosting such an amazing giveaway. I don’t have any memories of Harry and David but I am so excited to try their amazing, fresh pears! Following Harry & David on Twitter. I liked Harry & David on Facebook. I had never even heard of Harry&David until two years ago when a beautiful box of pears appeared upon our ice laden doorstep. I’ve been smitten ever since. Moose Munch sounds yummy! I would love to try it! What a great trip! I have always heard of Harry and David and I’ve drooled over the catalog but I’ve not actually tried any of their products. I think I would love the Moose Munch! 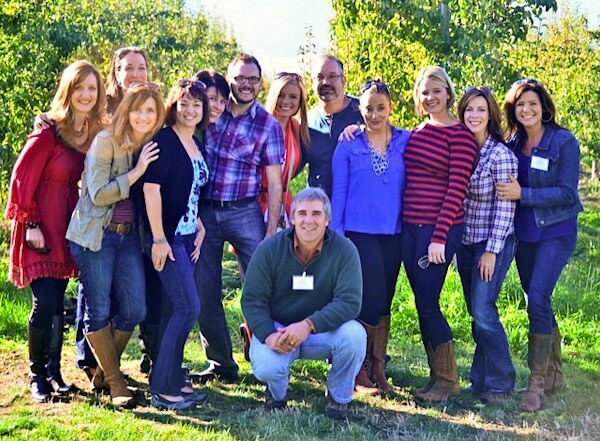 Love your photos and it’s always to read about companies that treat their employees so well. I think my most favorite H&D products are their amazing pears and Moose Munch! My family doesn’t really do holiday gifts – we just buy each other different flavors of Moose Munch and split them at family movie night! I follow Harry& David on Facebook. I’ve really been wanting to try their Moose Munch since I’ve seen it in a few places recently. that was a lovely experience. i always see harry & david sign on hwy 5 whenever we do a long drive from CA to OR and WA but never stopped by. i wonder if they do public tours. maybe next time we head that way we’ll stop by. i always associate h&d with office giveaways. my sister got two baskets from her office one time and so she shared one to me. that was my first time to taste the moose munch. it was good! Saladgoddess now following Harry and David on Twitter. Saladgoddess following you on Twitter. My parents have sent Harry and David Towers of Treats etc. to employees and friends at Christmastime for many years, and we got the Fruit-of-the-Month subscription for us and for the grandparents one year (the pears, the pears!). When I studied abroad in college, my grandparents wanted to send me the pears, but couldn’t because of international shipping restrictions. So they sent me a tin of glaceed apricots and prunes. So delicious. My most favorite gift every year is a box of Harry and David beautiful pears ! Then I just cross my fingers and hope to get candied fruit and other H &D goodies ! I grew up waiting for the box of pears to arrive at the holidays. There is something magical about those juicy sweet pears arriving at your doorstep! I always tried to beat my sisters to the box to have access to the pears first! I had never heard of it before but the pears look so yummy! Their pears are amazing! Good to know they are a great company! Follow A Spicy Perspective on Pinterest. Follow Harry and David on Twitter. I’ve never had Harry and David’s products but would love to receive those beautiful pears. I follow Harry and David on Twitter (@tissaboo). I follow Harry and David on Facebook (Becky Jordan-Tracey). I’ve never had anything from Harry & David, but I’ve always wished someone would send me some of their pears! I follow Harry and David on Twitter! I love receiving my Harry and David catalog in the mail before Christmas! I enjoy looking at every page! Of course I love giving and receiving Harry and David!!!! My memory of Harry and David is relived each October. They give out special samples to the participants in the Walk or the Cure. They give us huge bottles if water while walking. I follow ASP on Pinterest. I follow ASP on Twitter. I follow ASP on FB. My favorite Harry & David memory is from just a few years ago…I had just started a new job that required me to move to a new city. The vice president I worked for sent me a Harry & David package at Christmas, which was such a nice touch…I just loved receiving it and the packaging was lovely! I’ve never tried their products, but I’d LOVE to get my hands on one of those beautiful pears!!!!! I’ve never had a H & D experience and would like to try it, specially the pears! H & D – they are the best! I look forward to their annual catalog arriving. Then I know the holidays are upon us. 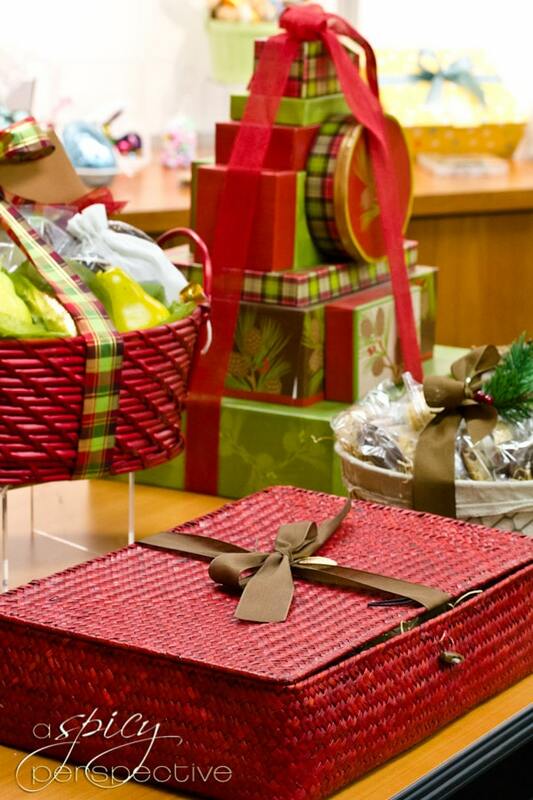 Their baskets make terrific gifts. I have fond memories of the pears. . My mother was always the pie maker in our family, but she had a set 4 or 5 fillings only. About 20 years ago I took over the pie baking for special occasions and I developed a recipe for a pear pie that has been a family favorite ever since. It is the most requested pie that I make and two years ago it won First Prize at the fair. Yum. My father in law who passed away last year sent us a tower of treats every Christmas. The pears are the most amazing part- never found any like them anywhere else! I pinned this giveaway as well. You always have to go with what they’re most famous for, so I’d pick the pears! Will share on FB/Twitter/Pin it – My favorite memories are when we had a store here at the mall – I would go in once a week or whenever I was in the mall – sample all their goodies and look at the sale table and always leave w/a dark choc Moose Munch Bar – Love those things. Miss You Harry & David – please come back to Boca. I have drooled over the H&D catalog for years and would love to have that show up on my doorstep! I should start building these kinds of memories. I’m very intrigued by said Moose Munch. I use to love getting to split the Harry and David baskets among the girls at the office that I use to work at. my grandmother used to send us a box of harry and david pears every year at christmas. I remember how pretty the packaging was, especially the gold wrapped pears. I love Harry and David and my husband has sent gift baskets as Christmas gifts for his boss! When I saw the photo of the Tower of Treats it immediately brought me back to a Christmas when my five children were still fairly young. My father used to send us a gift box from a little store in the Georgia hills that contained a HUGE block of ‘farmers cheese’, a package of crackers that were more like cardboard, and a bottle of Glog. This was not exactly something young children looked forward to each year. It was kind of my father to think of us, but I think it was more to his liking than ours. To make a long story short (even though I have already made it long, sorry) one Christmas a box came that was different than the cheese box. We all gathered around to see what was inside. Wow!!! It was a beautiful tower of boxes all wrapped in a bow. We each took turns opening the different boxes, getting more and more excited with each unwrapping. No huge block of cheese or cardboard crackers! Hooray! It was actually delicious treats that all of us enjoyed immensely. I would love to say that my father continued with the Tower of Treats from then on. Alas, no, that was our only year for the Tower of Treats. Imagine my children’s faces the next Christmas when the ‘cheese box’ was delivered. I had to remind them how grateful we should be for the gift and make sure to send out thank you notes acknowledging his thoughtfulness. My father told me years later that he wondered about whether it was truly enjoyed after receiving a letter from one of my sons thanking him for the ‘hunk of cheese’. I like Harry and David on FB. I’ve never tried any of it, but the Moose Munch sounds yummy! I like Harry and David on Facebook. When we lived for a couple of years in the Midwest, we loved it but we sure missed the fruit we had in the Pacific NW. A friend sent us a gift box of Harry and David apples and pears. What. a treat it was! Following Harry & David on Facebook! Eating their juicy pears- and thinking- I didn’t know a pear can taste this good!!! My friend always gets the Harry and David tower from her dad and she thoughtfully shares it with me and my family…..my kids LOVE it too! Your experience there really makes me want to use Harry and David a lot more. Loved the narrative and the pictures. Thank you. Sommer I loved reading this and I TOO would have crawled to Oregon for the tour! Like you I have distinct childhood memories of my grandparents sending us H & D Pears in December. They were always wrapped so beautifully. I especially loved the production area photos of your tour. One would never imagine that scene between the trees and the box! Fascinating! Thank you for this. I’ve never had any of their stuff but those pears look quite appetizing. 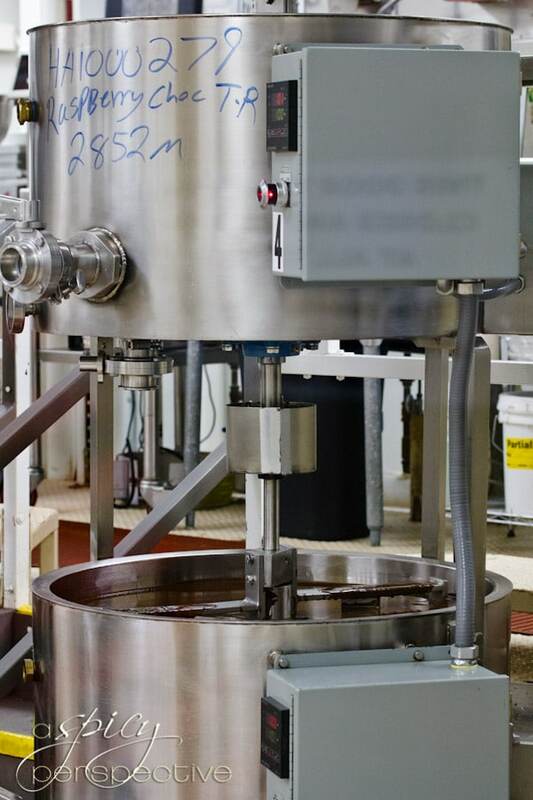 From the photos I gather they go to great lengths to make sure their products are top notch before leaving their facility. Following Harry & David on Twitter! Liked Harry & David on Facebook! Used to live in Oregon and would always stop at Harry & Davids when driving through Ashland. Love them! I would love to try their pears…they do look like they would slice like butter! I know my kids would love to try the Moose Munch! Looks like an awesome trip! I have never tried anything..but the pears sound wonderful! Thank you for sharing your story… ! I’ve been lucky to have Harry and David pears a couple of times and they are wonderful…! I was most excited years back to receive a gift of H&D from a family member – oh YUMMIE. I was again rewarded with a delightful gift package of different sweet treats from a company thanking me for my business – how’s that for some awesome customer service/appreciation! Years ago we got our first Harry & David gift tower and it’s been a yearly event since then. It’s so exciting to see whats in each box. The fruit is beyond spectacular! A former supervisor of my husband used to give my husband a Harry and David tin each Christmas. We so enjoyed this gift and really miss the H&D Christmas treat! My sister in law sends us Harry and Davids every year for Christmas, I love the pears and the moose munch. Its always so exciting to get this package. Beautiful baskets! I so wish I could have been on that trip! 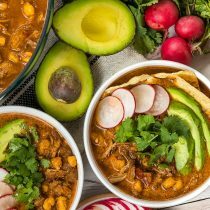 I’m following Spicy Perspective on Pinterest! I follow you on FB, Twitter and Pinterest. Should have made this 3 entries. Previous is for following you on FB. This entry is for following you on Twitter. This entry is for following you on Pinterest. I have not grown up on H & D but a few years ago I was in Medford for a soccer tournament and remember Sandy mentioning their store so after the tournament my girls and I headed over there and enjoyed perusing through their awesome store. I follow Harry and David on FB and Twitter. Just realized I should have made this 2 entries. Previous will be FB. This one will be for Twitter follow. I don’t have a favorite memory. I do love their pepper and onion relish though mixed with cream cheese. 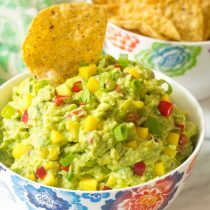 Great party dip. Thanks for chance to win. I am most excited to try the CHOCOLATE!! Love all of their things. You have to wear a bib when you eat the pears and all the fruit. The clubs are wonderful gifts. You can keep giving all year long. I’d love to try the Moose Munch! Great story and pictures about the company. 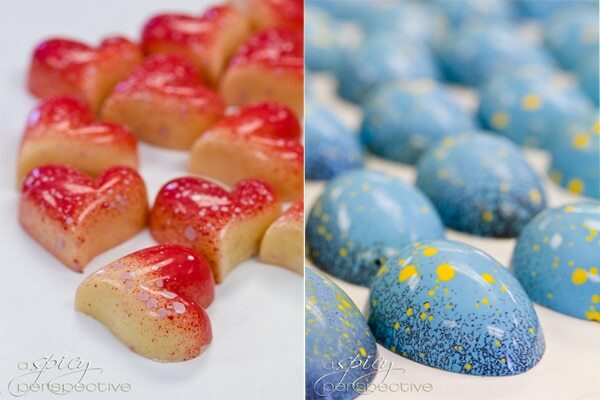 I’ve purchased Harry and David candies for gifts in the past and they were loved by all! When I think of Harry and David, “Moose Munch” comes to mind! The first time I ever had it was a few years ago when my HR Director sent it to me as a “thank you” for helping with the health insurance enrollment at our organization! I was a fan from then on. It’s always a part of our holiday season! I would LOVE to win this giveaway…PLEASE! Those pictures of Medford, Oregon are amazing! Liked a Spicy Perspective on FB! Followed Harry and David on Twitter! Liked Harry and David on FB! 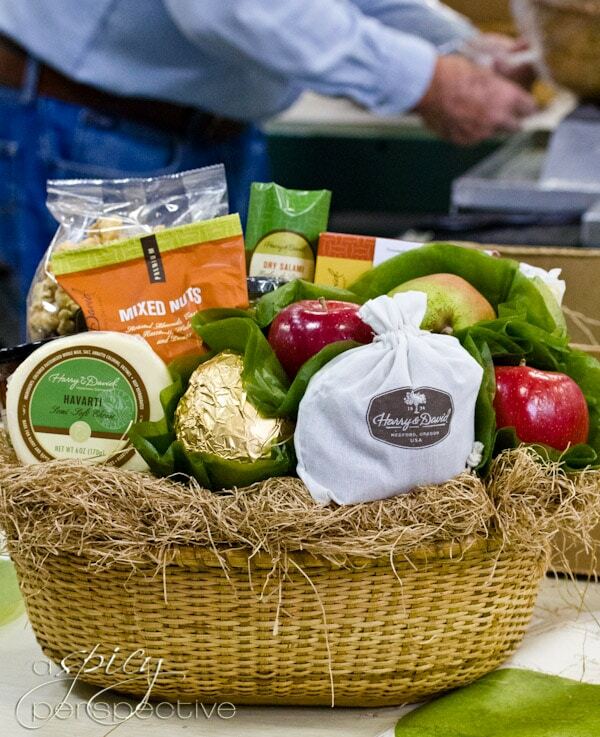 My favorite Harry and David memory is getting a gift basket from there every year from my grandmother! Great pictures, Sommer! I’m sad I missed this trip! I love Harry & David, Curtis’ boss always gives us H&D pears around the holidays…love them!! Mmmm definitely their Moose munch! Yum! The lovely and perfect Pears are most absolute favorite! Lovely post about an awesome company! I don’t have a favorite Harry & David memory, but I am dying to try those luscious-looking pears! I loved when we got our Harry and David box’s in the mail. The fruit was always so good and fresh. My dad is a doctor and he would usually get a gift basket sent to his office during the holiday season. His staff would pick over it but he was always able to bring home a pear or two. We’d slice it thin and savor it! I follow Harry & David on twitter! When my sisters and I were little, my dad’s clients used to send us Harry & David baskets every year for the holidays. Whoever saw the basket first got dibs on the best stuff! We had a Harry & David tower from my husband’s employer one year at Christmas and the pears were truly amazing. I am following all your boards on Pinterest. Thank you so much. 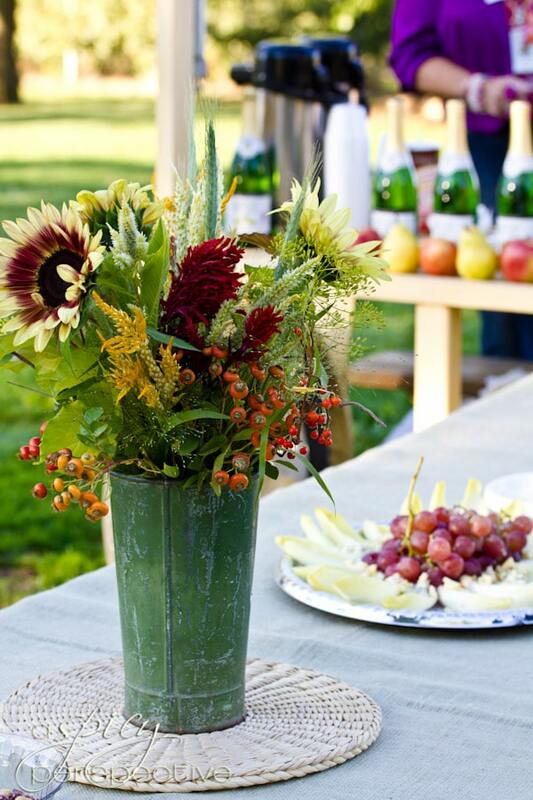 I pinned a picture of the beautiful flower arrangement. I love going to the Harry & David Country village, picking out the perfect items for a gift, and having them make a beautiful basked with everything! There presentation is truly captivating! I have never heard of this company. But looking at the pictures who wouldn’t want to try! Everything looks delicious! I used to work for Harry and David. EVERYTHING they sell is delicious!! I, like, you, remember eagerly waiting during the month of December for our Harry & David basket to arrive from my aunt. I looked forward to it each and every year! I follow H&D on Twitter. I follow H&D on FB. EVERYthing from Harry & David’s is DElish! !..I lived in SW Washington for 5 years & was also lucky to have a store in Scottsdale close by! !..and the caring company they are is truly evident in their superb product!…and ohhhmymy those pears! To. Die. For. I lvoe the Moose Munch! Yummy! I remember when I first walked into a Harry & David store, I fell in love. All their products sounded simply amazing and were affordable. 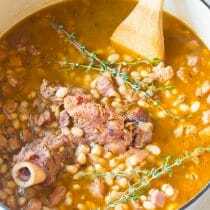 It was like gourmet on a budget, which for a new cook, I was SUPER intrigued by! I instantly fell in love with their Moose Munch (uh, how could you not?) and was super sad when the store closed nearby :( I have yet to try a famous pear and am dying to! BTW, so happy you got to experience a stay with Harry & David! That sounds like the trip of a lifetime! I follow A Spicy Perspective on Facebook! My former boss and I used to buy bags of Harry & David’s truffles and then she and I would each enjoy one in the afternoon as our “daily reward”. Sweet times! My favorite memory of Harry and David involves my mom and me standing over the box of beautiful Royal Riviera pears that a family friend sent to us during the holidays. You’d think they had sent us gold bars! Our mouths hung open as we lovingly admired their beautiful, russet-tinged skin. But the best part was getting to eat them! I’ll never forget how smooth, sweet and flavorful they were. I’ve never had another pear like those. I repinned one of your recipes on Pinterest. I ‘like’d Harry & David on Facebook. I loved seeing the label on the package from mom in college because I knew I would devouring Moose Munch in minutes! H&D packages are amazing. I love the story about the CEO. Thanks for sharing. H&D pears are always a special treat! Thanks for the giveaway! we never had harry & david growing up, but i’ve always heard about their pears. i would be so excited to just get my hands on one of those bad boys! I love those pears. mmmm… drool. I love love love their moose crunch! I pinned you on Pininterest. I want to try those pears! They look delicious. Thanks! I have receved the tower as a gift for years it is now a tradition to eat Moose Munch for Christmas breakfast. 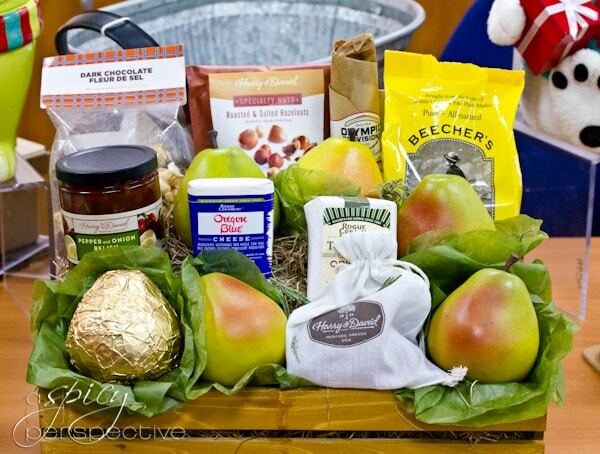 I Tweeted This: Win an amazing @HarryandDavid Gift Box on @SpicyPerspectiv ~ Just in time for the #Holidays! http://aspicyperspective.com/?p=17160 #giveaway #gifts. What a fun trip–I’ve loved reading everyone’s recaps. My dad always got Harry & David packages from work–they were the best! I use to love going into the store with my dad and buying a bag of the chocolate covered cherries and eating the entire bag in one sitting. Or getting the moose munch for my mother in law. Good memories of them both. I’ve never had their moose munch but its making my mouth water. The fruit. For sure. I love me some pears. I love nuts too. we have an H & D outlet store 3 miles down the road and anything from that company is a very special treat. i follow harry&david on Facebook and you too! wow those baskets look great. haven’t tried one before, but would sure love to. yumm pears. The company is new to me. I am excited to try their pears! I adore Harry & David! It’s not Christmas without them! My favorite memory is opening the packages my dad receives from customer’s as gifts around the holidays! I had their pears once and they were amazing! I’d love to try them again!